Given that uncertainty about what, if any, deal will emerge from Greece’s negotiations with its lenders, and between the institutions themselves, there has been fresh speculation about what political developments (even snap elections) this could trigger. Although Prime Minister Alexis Tsipras made a reference to the possibility of early elections in a recent speech to SYRIZA MPs, government sources later sought to dampen speculation by stressing that he was referring to a scenario that New Democracy would like to see play out, including the failure to conclude the second review. It may be that Tsipras’s words were carefully placed as a reminder to Greece’s lenders that if no agreement is reached, there is a possibility of a new round of political uncertainty. Then again, though, the creditors have never seemed particularly bothered by such warnings (as Antonis Samaras found out in 2014). The election talk is being fuelled by a number of factors. Firstly, there is New Democracy’s determination to capitalise on SYRIZA’s plummeting ratings and to put voters on alert for any eventuality. The mantra of snap elections being the only way out of the country’s problems that emanates from the New Democracy camp has become tedious, but it is a reflection of the conservatives’ belief that they need to keep up intense pressure on Tsipras and be prepared for any eventuality. The difficulty of reading Tsipras’s actual intentions is another reason that the snap elections scenario will not go away. So many had their fingers burned last year when the theories on what Tsipras was actually planning to do ranged from him having a secret plan to take Greece out of the euro to him having no idea what he was having for breakfast in the morning. The success with which he performed abrupt about-turns last year means that many in Greece, including the opposition parties, are concerned that he may pull another surprise this time around. The fear that just as his rhetoric regarding Greece’s lenders has been tempered, he will suddenly pull back from an agreement whose terms do not suit him and trigger snap elections so the political cost of sealing the deal is borne by someone else. Given recent history, it is a set of events that cannot be dismissed out of hand. 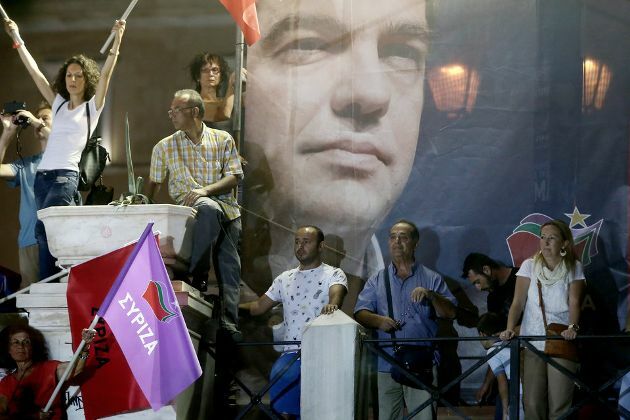 However, it continues to appear the least likely path for Tsipras to follow. Having swallowed 3 percent of GDP in new fiscal measures over the last year, and absorbed the political impact from that, it would seem extremely rash to turn away from an agreement that includes debt relief and little in the way of truly politically painful content. The government has made much of the labour issue and it is true that this a sensitive subject, but any concessions made in this area could be counterbalanced if a process to bring back collective bargaining is agreed on. The coalition could even have a crack at selling that as a victory domestically, arguing that this government will oversee the alignment of the labour market framework with the European norm, in contrast to previous governments’ drastic deregulation. Where things will be much more complicated is on the issue of fiscal targets. If the eurozone refuses to factor in debt relief to the setting of these goals and the International Monetary Fund insists that more austerity measures are needed for 2018 and beyond in order to reach (and maintain) primary surplus targets of 2018, the coalition would be severely tested. Given how far Greece’s fiscal adjustment has come, and the pain that has been felt by citizens, and the kind of measures that would be needed to produce extra savings (the IMF suggests that another 3.5 billion euros will be needed if the target stays at 3.5 percent of GDP), that could prove to be the nail in the coffin of this government, with which 92 percent of Greeks are dissatisfied, according to a recent Public Issue poll. However, European officials, including Eurogroup chief Jeroen Dijsselbloem and European Economic Affairs Commissioner Pierre Moscovici, have been emphasising the need for compromise over the last few days and have allowed some wiggle room on the issue of post-2018 primary surpluses. If this common ground can be found in the days ahead, the biggest obstacle to a deal (and the biggest motivation for Tsipras to throw in the towel) would be removed. If this is the case, then the Greek prime minister seems to have no better political option than to proceed with the agreement and hope that he can ride the wave of any recovery that will follow. With growth, the lenders off his back and perhaps more fiscal space, Tsipras can hope that he will win some voters back. He is unlikely to enjoy the kind of ratings currently seen in Portugal for his counterpart Antonio Costa, whose approval level reached 81 percent last week, but can aspire to improving significantly on his current ranking of just 24 percent (Public Issue). If his government then manages to hold on for a four-year term (until 2019), to also bask in the glory of the further debt relief promised by the lenders at the end of the programme in 2018), who knows where this could take SYRIZA. Overcoming New Democracy’s vast lead in the opinion polls seems a pipedream but, then again, political developments across the world have not exactly gone according to the formbook recently. Speaking to SYRIZA MPs last month, Tsipras insisted that completing the review and overseeing an economic revival were his government’s best strategy for survival. “We must not be another government of the crisis, but the one that takes the country out of the crisis once and for all,” he said. Even at this difficult juncture, when he may be tempted to dump the challenge in someone else’s lap, this still seems the path that provides the government with the greatest chances.